We feature New American cuisine prepared with certified-organic or wild ingredients sourced from as many local farmers we are able to support. 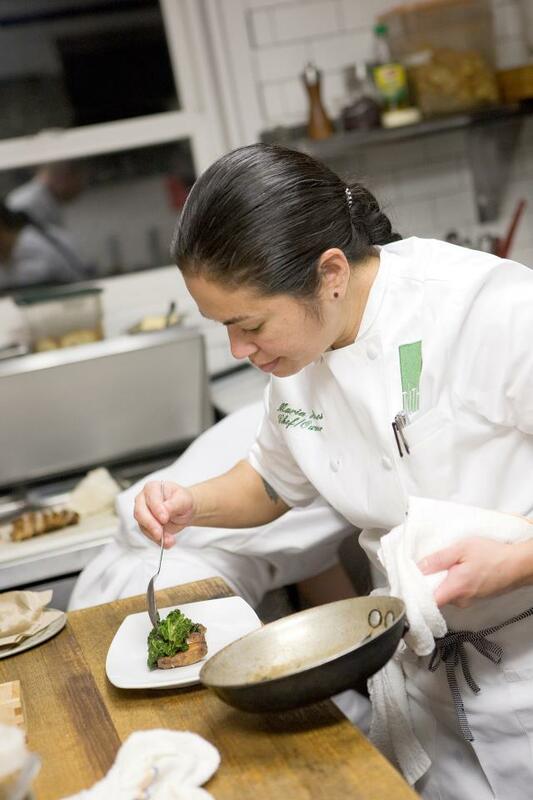 Our executive chef and owner, Maria Hines, is a James Beard Award winner for Best Chef of the Northwest, as well as one of Food & Wine Magazine’s 10 Best New Chefs of 2005. In 2008, the New York Times deemed Tilth one of the best new restaurants in the country. Tilth received its organic certification from Oregon Tilth, an unaffiliated organization that promotes sustainability.